Everyone wants their name in stone, but how about brick? For your next fundraiser, give your community the opportunity to become part of something larger, literally. Monogrammed pavers from Acme Brick enable you and your group to make a lasting, personal contribution to any building project. These handsome units are made with the same care, and meet the same specs, as regular paving brick. With simple care, they will last decades. 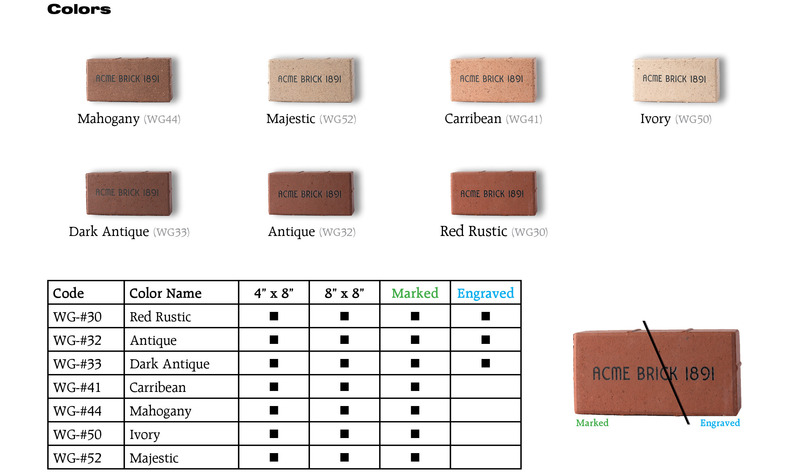 For more information on ordering monogrammed pavers from Acme Brick, please e-mail EngravedBrickCoordinator@brick.com to be placed in contact with an Acme representative.